Testicular cancer starts in the testicles but can travel to nearby tissues or other parts of the body via the lymph system and blood. If healthy cells found in the testicles develop abnormalities, they can grow and divide quickly, causing the collection of cells to form a cancerous mass in one or both of the testes. Stages of testicular cancer refer to whether the cancer is restricted to the testicles or has spread to other regions of the body, like the lungs or brain. Even if the cancer has metastasized beyond the testicles, testicular cancer is still highly treatable. Radical inguinal orchiectomy: After an incision is made in the groin, the affected testicle is removed through the opening. An artificial testicle can be placed in the scrotum to maintain its appearance. Retroperitoneal lymph node dissection: If the cancer reaches the lymph nodes in the groin, they may be removed through a large incision in the abdomen. This surgery can be performed at the same time as a radical inguinal orchiectomy. Bilateral orchiectomy: When cancer affects each of the testicles, both may need to be removed through an incision made in the groin. If testicular cancer is detected early enough, or if it is restricted to the testicle, surgical removal often is the only treatment needed. Chemotherapy is usually used for those cases of testicular cancer that have spread beyond the testicle, that have a high risk of recurrence once a testicle has been removed, or in which surgery fails to remove all traces of disease. The approach utilizes drugs (such as cisplatin, bleomycin, or etoposide) that locate and destroy all rapidly dividing cells, including the cancerous ones. The drugs can be administered intravenously, orally, or injected directly into the testicle. 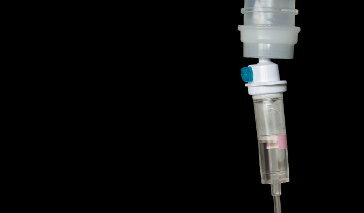 Typically, a variety or "cocktail" of chemotherapy drugs are used in combination. Each targets cancer cells in different ways, maximizing the drugs' effectiveness. Radiation therapy uses high-energy rays (radiation) to destroy the cancer cells. Testicular cancer is one of a handful of cancers that can be treated using internal radiation therapy. This approach involves placing a radioactive substance into the affected testicle so that the cancer cells can be directly engaged. During external-beam radiation therapy, a device aims rays at the testicular area, but from outside of the body. Seminomas—one of two main types of testicular cancers that is characterized as being slow-moving and affecting only the testicle—respond well to radiation therapy and may require about two weeks of treatment. Nonseminomas, which spread quickly and frequently consist of more than one cell type, do not respond as well to radiation therapy. Surgery and chemotherapy are preferred treatments for this cancer type. This approach is used if testicular cancer recurs and aggressively multiplies. Stem cells (immature blood cells) are extracted from bone marrow or the blood and injected into the patient in an attempt to promote healthy blood cell growth. Transplantation is often done after chemotherapy since it tends to destroy blood-forming cells. Common classifications for testicular cancer prognoses are good, intermediate, and poor. A good prognosis typically refers to a cancer that is in stage I or II, has not spread to surrounding organs or lymph nodes, and that has no or low levels of blood tumor markers. The American Cancer Society (ACS) refers to this stage as "local," and the survival rate is nearly 100 percent. Those with an intermediate prognosis have tumors that have spread outside or behind the abdominal wall, sometimes the lungs, and show only slightly elevated tumor markers. The ACS terms this the "regional" stage, and patients diagnosed at this stage have a nearly 100 percent 5-year survival rate. Patients with a poor prognosis typically have highly elevated tumor markers and cancer that has spread to several organs beyond the lungs, or a tumor that has spread to the mediastinum (the chest area between the lungs). This is known as the "distant" stage, and carries a five-year relative survival rate of 28 percent, according to the ACS. When this stage is treated aggressively with radiation and high levels of chemotherapy drugs, an estimated 50 percent of cases can be cured.